1) In November 2009, British Corporal of Horse Craig Harrison consecutively struck two Taliban machine gunners south of Musa Qala in Helmand Province in Afghanistan at a range of 2,475 m (2,707 yd) using a L115A3 Long Range Rifle. This is the longest confirmed sniper kill in combat. The bullet took over 6 seconds to reach its target and fell about 400 feet. This record was certified by Guinness World Records. 2) During the early 20th century, there was some interest in mock dueling with pistols loaded with wax bullets. The sport first gained popularity in France, and heavy canvas clothing was worn to protect the body, a metal helmet with a thick glass plate protected the head and face, and the pistols were often equipped with guards on the front of the trigger guard that extended outwards to protect the shooter’s hand. For a brief time it was popular, and was featured during the 1908 Summer Olympics. 3) Bullets fired into the air usually fall back at terminal velocity. People can be injured, sometimes fatally, when bullets discharged into the air fall back down. 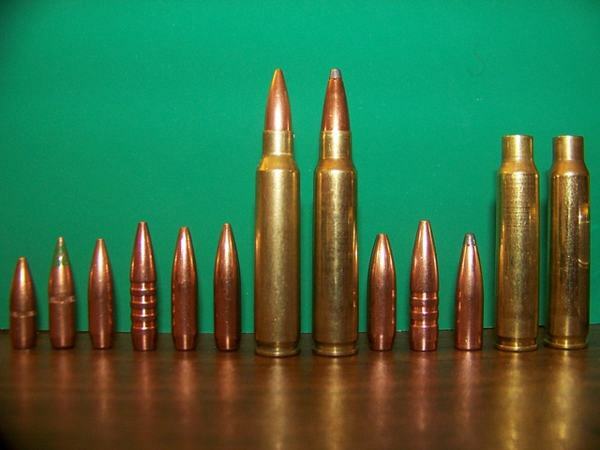 Bullets fired other than exactly vertical are more dangerous, as the bullet maintains its angular ballistic trajectory. More than 20 people were reported killed in Iraq from celebratory gunfire following the deaths of Saddam Hussein’s sons Uday and Qusay in 2003. 4) In 2007, a Florida man woke up with a headache so severe he suspected he was having an aneurism and asked his wife to take him to the emergency room, where doctors found a bullet lodged behind his right ear. The man’s wife, April Moylan, fled the emergency room when the bullet was discovered but later told deputies she had accidentally shot her husband. 5) The U.S. and Russian Military use depleted uranium bullets that can pierce vehicle armor; once the bullet pierces the armor, it gets sharper and automatically catches on fire, igniting fuel and causing the vehicle to explode. 6) When China carried out executions with a bullet to the back of the head, the family of the condemned would be sent an invoice for the cost of the bullet. 7) There is a company called Holy Smokes takes your loved one’s ashes and turns them into ammunition. 9) Sniper bullets can travel for so long, the rotation of the earth will move the target. This is known as Coriolis drift. 10) American outlaws and robbers from the Dallas area Bonnie and Clyde died in 1933. They were shot so many times that the undertaker had difficulty embalming the bodies because of all the bullet holes.